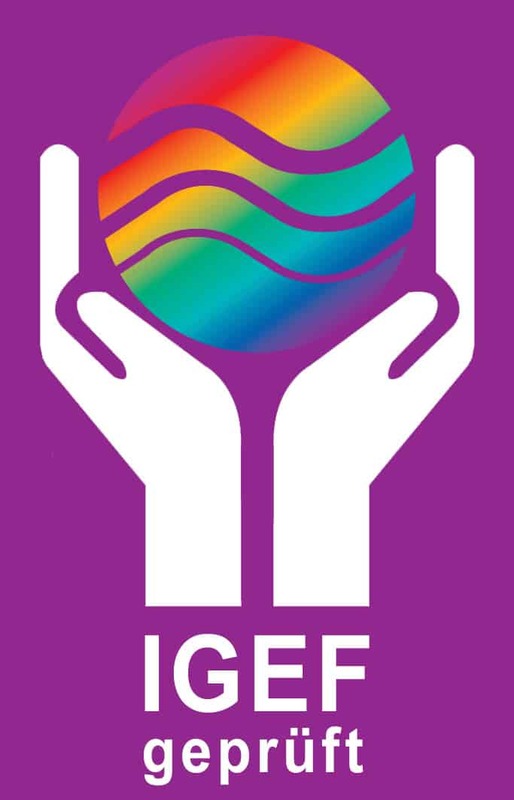 Das aktuelle IGEF-Zertifikat für das Produkt >e-protect card< ist bis zum 01.11.2019 gültig. 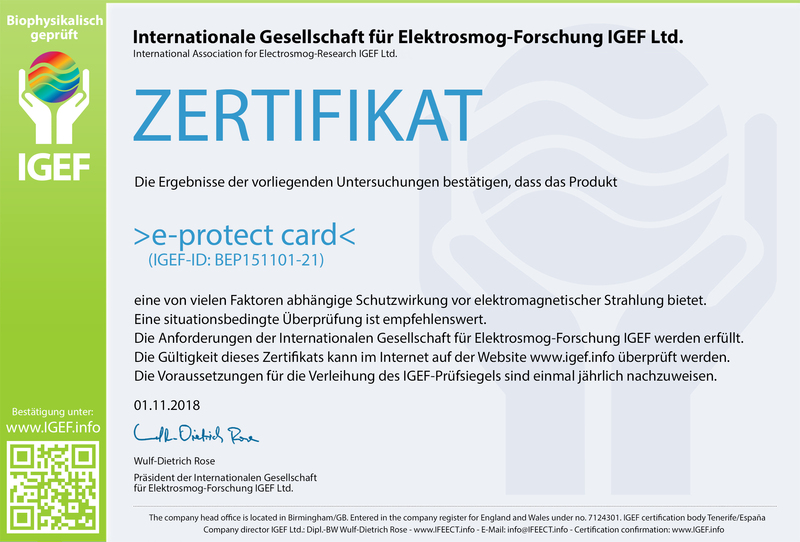 Die Ergebnisse der vorliegenden Untersuchungen bestätigen, dass das Produkt >e-protect card< als Schutzmaßnahme vor der schädigenden Wirkung hochfrequenter elektromagnetischer Strahlung geeignet ist. 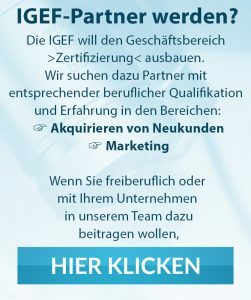 Eine situationsbedingte Überprüfung ist empfehlenswert. The results of the available investigations confirm that the product ​>e-protect card< is suitable as a protective measure against the harmful effect of high frequency electromagnetic radiation. An individual assessment is advisable. 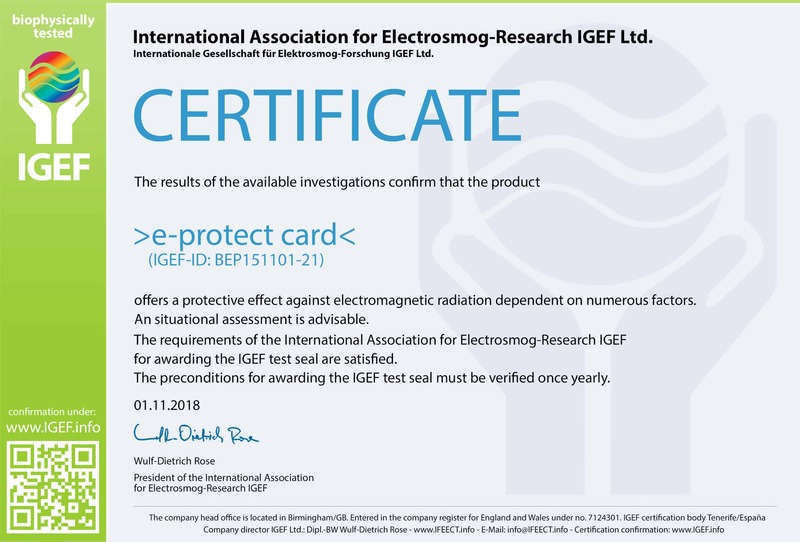 Los resultados de las presentes investigaciones confirman que el producto ​>e-protect card< es adecuado como medida protectora con el efecto dañino de una radiación electromagnética de alta frecuencia. 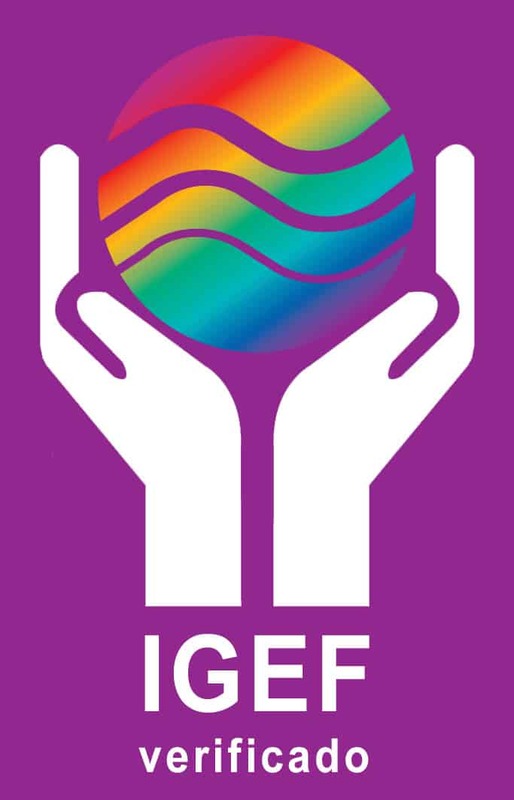 Conviene realizar una comprobación individual.